Waiting. -“He might be only part of your life, for him, you are his everything, the only person in his whole life.” For all pet lovers! 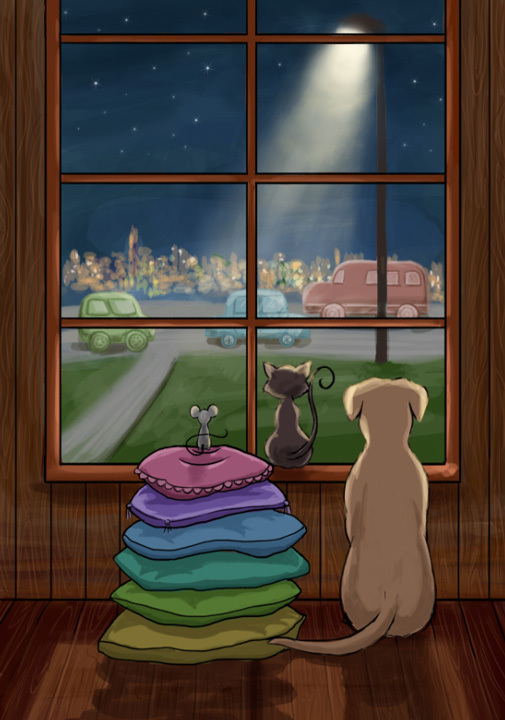 Aug14August 14, 2014 • By Helen H. Wu • This entry was posted in Illustration, Painting and tagged animal friendship, animals, archival print, art print, Artwork for sale, back home, cat, dog, friends, Illustration, mice, mouse, nighttime, pet lovers, pets, waiting. Bookmark the permalink. So beautiful! I am in love with your art immediately!